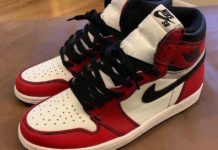 To kick off 2019, Jordan Brand will be releasing several new iterations of the Air Jordan 1. One of those will be this women’s exclusive colorway for Valentine’s Day. 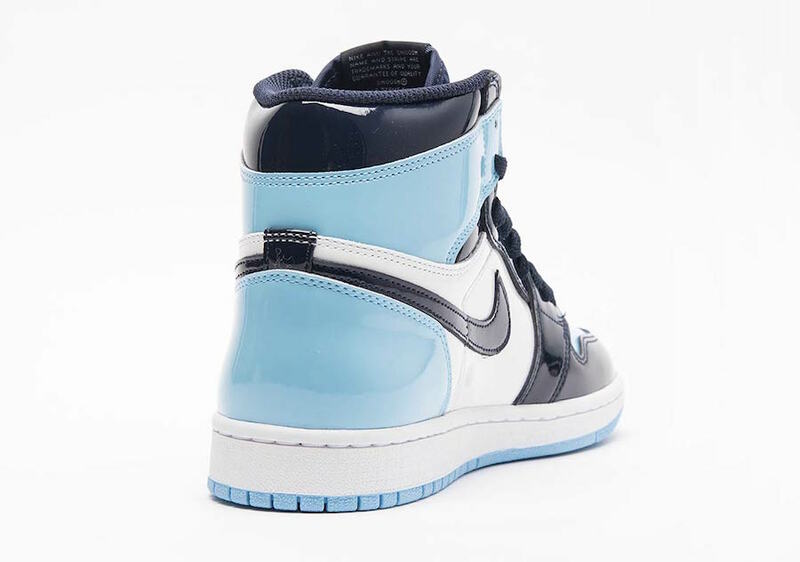 Dressed in an Obsidian, Blue Chill, and White color scheme as a nod to the UNC Tar Heels making them fitting for 2019 NBA All-Star Weekend in Charlotte, North Carolina. This Air Jordan 1 features a full patent leather upper in a mix of Obsidian, Blue, and White. Nike Air tongue tags, Wings logo on the ankle atop a White midsole and Light Blue outsole completes the design. Look for the Air Jordan 1 Retro High OG “Blue Chill” to release in women’s sizes on February 14th at select Jordan Brand retailers and StockX. The retail price tag is set at $160 USD. UPDATE: Nike releases official photos of the “Blue Chill” Air Jordan 1 that will be releasing in women’s sizing 5-12 on February 2nd globally and February 14th in North America. UPDATE: Product photos via SVD of the patent leather women’s “Blue Chill” Air Jordan 1 releasing on Valentine’s Day, February 14th.